Indian Smartphone brand XOLO, launched ERA 5X with AI studio mode for the perfect photography that enables users to take pictures in six different camera modes giving a professional touch to their pictures, a feature that is unusual in the budget smartphone segment. The ERA 5X has a 5.7" HD+ IPS In-Cell Full Screen display with 2.5D curved Corning® Gorilla® Glass, giving the handset a sturdy look with greater durability. XOLO Era 5X, the new generation phone has 3GB RAM, designed for the needs of the tech-savvy consumers for fast and efficient usage. The device offers (4G + 4G) Dual VOLTE enabling users to widen their network.The phone comes with 32 GB internal memory and 128 GB expandable memory, providing users ample space to store data. The XOLO ERA 5X is priced at Rs. 7,499 and is available in black color. XOLO products are known for their long-lasting battery backup. The era 5x is powered with a 3000 mAh Li-Po non-removable battery that can last for 1.5 days on a single charge*. The ERA 5X runs on Mediatek Helio A22 processor with 2.0GHz speed. Alluring the selfie-loving generation, XOLO Era 5X has been styled with 13 MP of primary and secondary camera with LED flash on both front and rear cameras. The users can make full HD videos in .3gp, .mp4 and .avi formats coupled with few exciting modes like video beauty and time lapse. Other highlighting features of the camera that come embedded in the handset are portrait lighting, real-time bokeh, face beauty, HDR, panorama, AR stickers, Super Night mode, QR Scanner, intelligent selfie, microspur and FHD recording making the users play around with their photos. For the music lovers and web surfers, the device also sports a superior sound quality music player along with a full HD video player, allowing users to enjoy their favourite music and videos with excellent sound effect. 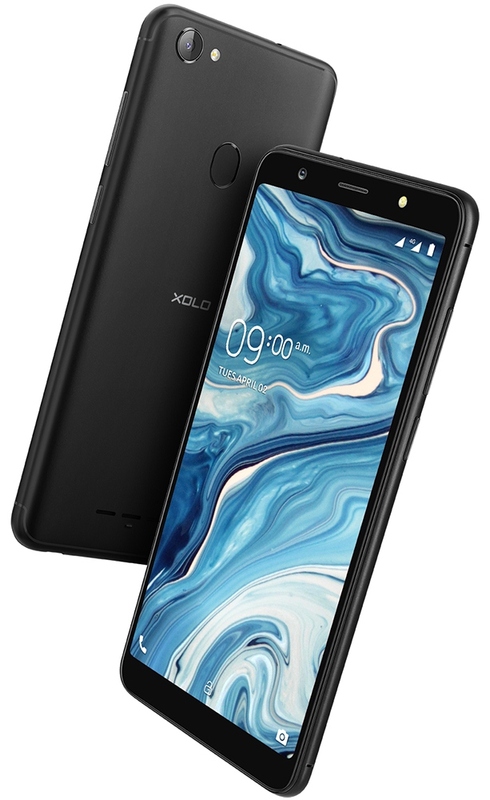 Furthermore, the new XOLO Era 5X comes with high-end technology-driven exciting features such as Face Unlock, Smart Gestures, App Intelligent Power Saver, AI Battery Manager, Fingerprint and App Shortcut. This power-packed device is ingrained with lot many exciting & high-end technology features such as Face Unlock, Smart Gestures, Motion Gesture, Power Saver Mode, Super Power Saver Mode, App Intelligent Power Saver, AI Battery Manager, Multiwindow, Message Translation, Fingerprint, App Encryption and App Shortcut. The phone available in black colour will be up for sale on both Amazon & Flipkart from 2nd April onwards. Moreover, for Jio customers, XOLO provides a special offer of Rs.1200 cashback with 50GB additional data on the recharge of Rs.198/299 plan. One can avail the 50GB additional data by getting 5GB data voucher for the next 10 recharge of Rs.198/299 plan. XOLO has also come up with unique offers for its loyal customers.